A & G Decorators - Painter/Decorator, Plasterer based in Chingford, London. 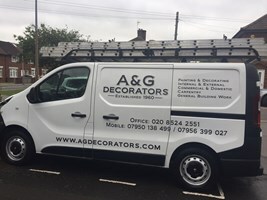 A & G Decorators are based in North West London and East London and for over 50 years have specialised in residential and commercial decorating. We pride ourselves on our high standards and professionalism, while remaining competitive with our pricing.